In his title what is “sefardim” mean? What or Who are you talking about? He (or his rebetzin) was also a gorlitzer einikel. 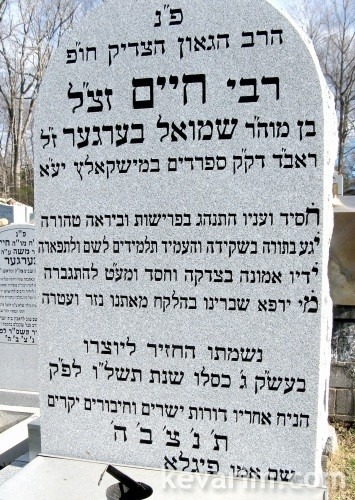 Who was his Rebetzin and how was she a Gorlitz Einikel? My father was taken to Mishkoltz from Romania in 1941 into the Hungarian army as a slave labourer. All the jews in his town of Remete were forced to leave their families and go with the Hungarian army. I am writing a book on about it. I am looking up to see where this town is on a map and I can’t find it. Maybe you can tell me where it is. I married to a Gorlizky and his father came from Poland before the war. None of his family survived. We have no contact with any Gorlizky’s. I noticed that name your blogs. If you have any information on any families that are associated with that name I would be interested in hearing about it.